If perceived injustice can spur players to greater performance, there is still a chance of Northern Ireland and Italy reaching the World Cup Finals next year. The trick is to channel grievance in the proper manner, to control emotions, to concentrate on the final game and make it count on the pitch. Just claiming "we were robbed" will not turn it around. 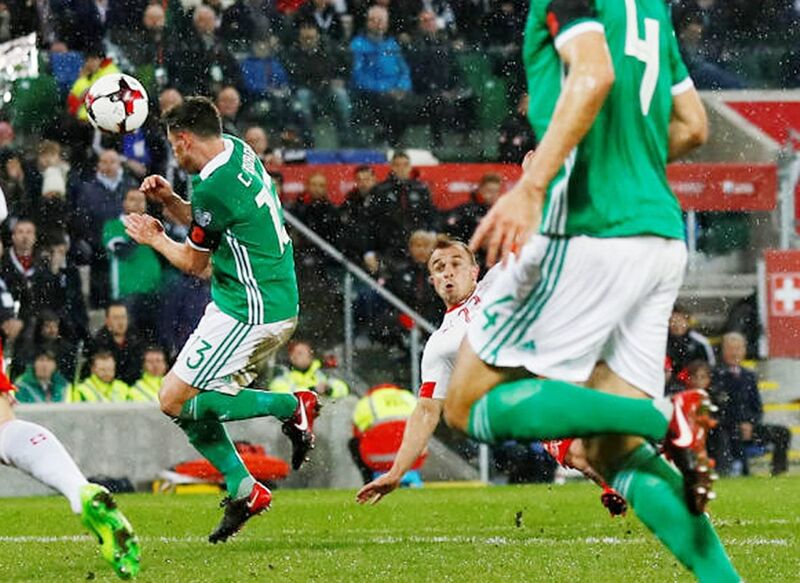 If Northern Ireland believe they are better than Switzerland, they have to prove it in Basel in the second and final leg tonight. If Italy, four-time world champions, are not hollow men this time, they need to score at least twice without reply from Sweden in the San Siro, Milan tomorrow. There's the rub. These are agonising play-off situations between nations that had already failed to prove their worthiness to go to Russia next summer. The World Cup is an ever-expanding tournament which the new Fifa regime intends to enlarge from 32 to 48 teams in the Finals from 2026, the increased line-up being nearly a quarter of all the 211 countries that enter the World Cup. That enlarged roster can't come quickly enough for the Dutch, who gave us the wonderful "total football" concept in the past, but were eliminated in the qualifying stage for this World Cup. Chile, too, are in the same boat. Despite twice winning the Copa America to be South America's champion nation in the past four years, they could not even finish fifth out of the 10 nations in their region. And so Alexis Sanchez, Arturo Vidal and their team-mates will miss out on the Finals in the prime of their lives. For a small football country, Northern Ireland produced George Best, one of the finest wingers of all time, and big Pat Jennings, a true gentleman and a fabulous goalkeeper. It has nobody like either of them in this generation but the Ulstermen's manager, Michael O'Neill, has extracted every ounce out of every player in the green jersey. He's a good man, generally an uncomplaining man, who gets on with the job of making David take on Goliath, while leaving the excuses out of the situation. On Thursday, when an appalling refereeing gaffe handed the Swiss a penalty to score the only goal at Windsor Park in Belfast, O'Neill opted for restraint. He said the decision by Romanian referee Ovidiu Hategan "bewildered" him. The match officials (plural, because there is a linesman and also a fourth official wired for sound to the man in the middle) somehow believed they saw a handball when, quite obviously, the ball struck defender Corry Evans on the back, just below his right shoulder. Just as clear to the naked eye was a horrendous flying two-footed tackle by Fabian Schar right at the start of the match that by any reasonable interpretation of the rules merited a red card. Mr Hategan, however, deemed it a yellow. One is tempted to say that if this is the best arbitration Fifa can come up with, our expectations of fair play are a pipe dream. However, O'Neill confined his observations to the fact that there was a lot of anger in the dressing room afterwards, and he needs no great oratory to motivate the players for the second leg - albeit without Evans because the referee compounded error upon error by issuing a yellow card to the defender. Presumably Hategan saw what he thinks was deliberate use of the hand by Evans behind his own back. And the player now misses the Basel game because he already had a yellow card during the group phase. Again, it's Fifa's totting-up process. Again, it lacks fairness when two cautions over the course of a group stage are stretched to cover these extra play-off matches. The bottom line is that Switzerland, with huge help from the Balkan immigrants who fled there during the Yugoslav break-up, have a more talented pool of players. They can go far in this World Cup, and will probably get there - unless vengeance drives Northern Ireland beyond the sum of their talents. Meanwhile, what a faded version Italy have become. History teaches us never to count the Azzurri out. They have won World Cups, and they know how to squeeze victory out of very little. It has not always been pretty, but you have to admire the mentality and the organisational approach. We did that in the era of so-called Catenaccio, the defensive system that translates to bolting the door. Defence was elevated to an art form - dark art compared to Pele and the Beautiful Game. Now there might be more darkness than light. Italy have one of the finest goalkeepers - definitely in the Jennings class - Gianluigi Buffon, who hopes for one last World Cup. Buffon will turn 40 in January and defenders Andrea Barzagli, Leonardo Bonucci and Giorgio Chiellini are also long in the tooth, as is midfielder Daniele De Rossi. So this is the Azzurri old guard. 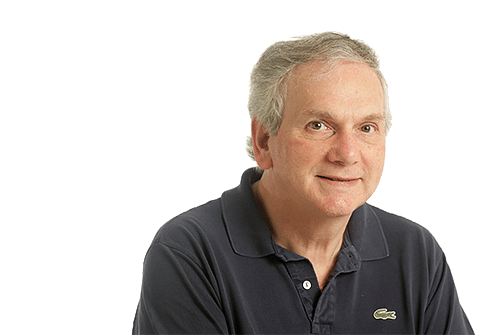 Antonio Conte drove them at Euro 2016 before departing to coach Chelsea, and Gian Piero Ventura, the 69-year-old former Torino coach, seems to stand idle on the touchline as the fading team struggle to stay in games. Michael O'Neill has extracted every ounce out of every player in the green jersey. He's generally an uncomplaining man who gets on with the job of making David take on Goliath, while leaving the excuses out of the situation. That was the impression in the group when Spain trounced Italy, leaving the Azzurri to sweat out second place. Italy have scored just three times in five games against the likes of Albania, Macedonia and Israel. The struggle turned nasty in the Friends Arena near Stockholm on Friday. The Swedes gave as good as they got physically, and both sides blamed the other. The grim game was moving towards the Italian bolt lock until Jakob Johansson struck a shot that hit the leg of De Rossi and left Buffon stranded on his line. A deflected goal. A string of excuses. A period of rough play, dubious play-acting, and sarcasm. "I hope in Milan they allow us what the referee allowed them," complained Ventura. "At this level the referee needed to be more attentive." At this level, players need to perform. Maybe tomorrow they will, but Sweden will not lie down just because it is the San Siro.